A relatively new innovation in the arena of digital contracts is ‘Pair trading’. This offers a new perspective on binary options and helps to provide an approach to trading that is somewhat insulated from events in the wider market. The Paris trade is a fixed options contract that works on the same principles as other digital options. You decide on an amount that you want to invest, select the contract and timescale over which you want trade and receive a fixed payout at the conclusion. The difference with Binary Options Pairs trading is that instead of trading the price movement of an asset, you are instead trading the relative level of performance between two assets. To illustrate this you might choose a contact with two tech stocks. Let’s assume Apple and Google. Pricing is fixed at the point that the contract is placed. You decide which of these two stocks will perform best over the contracts duration. If you pick Google and the price outperforms Apple by the close of business, then would earn the agreed fixed payout. Using digital pairs contracts offers a further dimension to trading. 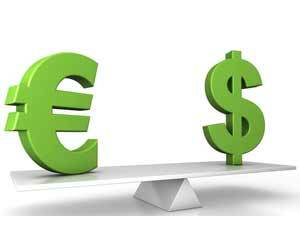 It is certainly a little different to the standard binary option. These contracts are to some extent market neutral, as you are only interested in the price changes of the two selected stocks. It is only the relative level of performance that counts. In addition to trading the conventional Pairs option, brokers offering pairs options frequently now offer what are known as a ‘Floating Pair Option.’ This is an extension of the standard Pairs contact in that it allows you to close out of the contract prior to the set expiry time. In this instance the level of payout you receive will be indicative of the current pricing and the brokers level of return offered. You open a option at midday on the pair Facebook and Yahoo with the prediction that the price of Facebook will outperform that of Yahoo over the course of the trading session. At the closure of the contract the relative performance of each pair is measured. In this instance you would finish in the money if Facebook had outperformed.